Last month we discussed your obligations to employees under FMLA. We now turn our attention to ADAAA and the protection it extends to employees and obligations it imposes on you. On 1/1/09, this act was strengthened by expanding the definition of disability under the Americans with Disabilities Act Amendments Act (ADAAA). The final regulations of ADAAA were imposed on 5/24/11 requiring employers to comply with a stricter discrimination law applied to a larger class of disabled individuals. The broadening of the disability definition shifted the focus from whether an employee has a disability to if the employer has provided reasonable accommodations so that the employee can perform the essential functions of the job and retain his or her position. Disability–a physical or mental impairment that substantially limits one or more major life activities of such individual, a record of such impairment, or being regarded as having such impairment (excluding transitory and minor impairments). Major Life Activities–caring for oneself, performing manual tasks, seeing, hearing, eating, sleeping, walking, standing, lifting, bending, speaking, breathing, learning, reading, concentrating, thinking, communicating, and working. Also included is operation of major bodily functions including functions of the immune system, normal cell growth, digestive, vowel, bladder, neurological, brain, respiratory, circulatory, endocrine, and reproductive functions. Regarded as having an impairment–the individual establishes that he/she has been subjected to an action prohibited under this act because of an actual or perceived physical or mental impairment whether or not the impairment limits or is perceived to limit a major life activity. Transitory Impairment — actual or expected duration of 6 months or less. Is your business subject to ADAAA? Note that state and local laws may apply to smaller businesses not meeting the above criteria. Keep in mind that even if you are not subject to ADAAA for employees, if you are considered a place of public accommodation, you would be required to comply with the definition of disability with respect to the goods and services you provide to the public. Under ADAAA, you are required to make reasonable accommodations so your employee may perform the essential functions of his/her position unless doing so would impose undue hardship on your business operations. If the accommodation would be an undue hardship, you must try to identify another one that would not pose such a hardship. If cost is the hardship you can look to see if there is funding available from an outside source or could be offset by state or federal tax credits/deductions. Reasonable accommodation must also be made to enable applicants with a disability to participate in the application process. It is crucial that the “accommodation process” happens and is documented. It is key that your managers and supervisors are trained on the current ADAAA standards. They should clearly understand the definition of disability and the need for reasonable accommodations. They should refrain from mentioning medical conditions when speaking with employees and be able to recognize accommodation requests even when not directly asked for an accommodation. Training managers can prevent a claim and reduce retaliation claims as a simple negative or derogatory remark by a manager or supervisor in response to an accommodation request can be considered retaliation. Complying with ADAAA is a legal requirement but equally important is documenting your compliance. If your compliance is challenged, your documentation and proof of communication with your employees throughout the process will be essential. Terms of a collective bargaining agreement. Can ADAAA impact other employee benefits? 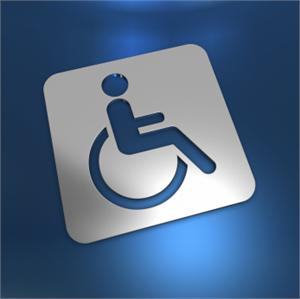 The ADAAA prohibits employers from indirectly discriminating on the basis of disability in the provision of benefits. It is unlawful for an employer to limit or segregate an applicant or employee in a way that adversely affects his or her employment opportunities or status on the basis of a disability. One reasonable accommodation that may be made is changing an employee’s full-time job to a part-time position. In this case, benefits to the employee are based on what is offered to other part-time employees. Combining the new ADAAA with the Family Medical Leave Act (FMLA), each employee with a disability will now likely also qualify for FMLA leave. The most common mistake is the failure for the employer to engage in interactive dialogue or stopping discussions because they can not think of a reasonable accommodation that would allow the employee to continue at his/her job. Dialogue is important to determine if an employee’s function is essential. Job descriptions that incorporate physical requirements can assist in this conversation and help identify potential accommodations as well. Supervisors do not reach out to to their HR department for guidance as soon as they become aware of a potential ADAAA qualifying condition. Defining “undue hardship” too broadly and dismissing an employee’s requested accommodation because it seems unreasonable on its face. Reasonable accommodation is usually far less expensive than many people think. In most cases, an appropriate reasonable accommodation can be made without difficulty and at little or no cost. Federal tax incentives are available to businesses to help them meet the cost of ADAAA compliance. Remember when considering if an employee qualifies for ADAA is not the time to rate their job performance! The Department of Justice may not sue a party unless negotiations to settle the dispute have failed. Typically the Department only seeks such penalties when the violation is substantial and the business has shown bad faith in failing to comply. If the negotiations fail, the Department of Justice may file lawsuits in federal court to enforce the ADAAA and courts may order compensatory damages and back pay to remedy discrimination if the Department prevails. Under title III, the Department of Justice may also obtain civil penalties of up to $55,000 for the first violation and $110,000 for any subsequent violation. The Department will consider a business’ size and resources in determining whether civil penalties are appropriate. Civil penalties may not be assessed in cases against state or local governments or employers. Our agency can assist you in finding resources to answer ADAAA questions or concerns that may arise. One resource that you may find beneficial is the “Job Accommodation Network” (JAN).